BRING NEW VALUE TO YOUR CLIENTS. A new or established coach who is looking to grow your practice and attract new clients. A coach who is looking to maintain your ICF accreditation. A consultant who is passionate about emotional intelligence and committed to using emotional assessment tools with your clients. An HR professional who wants to understand and develop organizational teams. An established coach who is looking for new ways to enhance your clients’ experience. A new coach who is looking to differentiate yourself from other coaches in the marketplace. Then our EQ-i 2.0 and EQ360 Certification course is right for you. Book through the form below for our next course, or click HERE to see all future course dates. If you’ve been in the industry for any length of time I’m sure you’re aware that many coaches, consultants and HR professionals are now becoming certified in select tools and methodologies through which they bring extra value to their current clients, expand their offerings and gain new clients. The problem is often knowing which tools and methodologies to become certified in. Did you know there are over 20,000 certified coaches in the US alone? It can be really difficult to differentiate yourself from the crowd. The good news is…this is where EQ certification can make a real difference to your business. The thing is, as coaches we have the unique opportunity to influence the development of great leaders, and the creation of healthy and successful organizations. Great leaders can make a huge difference in people’s lives, and effective leaders need great emotional intelligence. So although there are many assessments to choose from, few have the power to support the effective development of leadership skills like the EQ-i & EQ360. 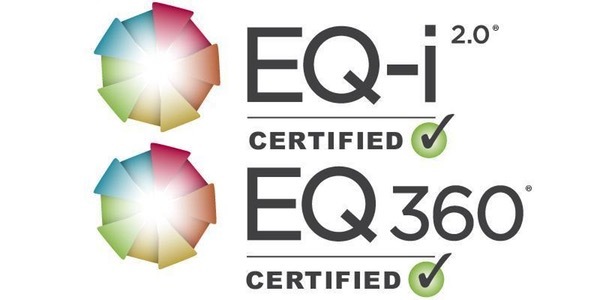 The great thing about becoming certified in the EQ-i & EQ360 is that you not only support your clients to become great leaders but you also grow and diversify your practice, helping you to become an outstanding coach. Key to this process is working with the right trainer – someone who has practical experience using these tools in organizations of all sizes, who has a background in leadership development, and the academic grounding to help you understand both the real world application AND the science behind these powerful tools. 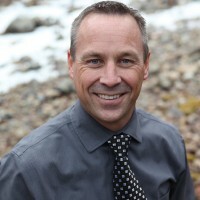 I’m Drew Bird and I’m the Founder and EQ Master Trainer at The EQ Development Group. One of my primary goals is to help coaches and consultants to become an authority in the application of emotional intelligence tools and assessments. I’m particularly passionate about helping you to support your clients in becoming more emotionally effective – i.e. not just to have knowledge on emotional intelligence but to actually feel confident integrating emotional intelligence tools in their work. I bring a broad range of practical experience as an established leadership and organization development practitioner, as well as hands-on senior leadership experience – so yes, I walk the walk as well as talk the talk! I loved my EQ-i 2.0 and EQ360 training and certification with Drew Bird. He is a walking treasure chest of knowledge and experience on the topic of EQ in the context of leadership, teams and groups. He packs a lot of value into the two-day training, nimble to the needs of the group, and brings a positive, consistent, genuine and polished energy throughout. I have a keen interest in advancing healthier, purposeful organizations, teams and leaders in my coaching practice and this learning will be foundational to advance my offering. Committing to this work has been invaluable and I can hardly wait to leverage my learning in service of my clients and their evolution. I won’t hesitate to consider Drew for future training and look to him as a world class mentor and practitioner on many levels. Most grateful Drew! The on line Emotional Intelligence training Drew offers provides a wonderful option to learn about this important leadership topic. His depth of knowledge is evident in the examples he provides and the thoughtful way he answers questions. The sessions were highly interactive and Drew manages the virtual environment with ease. Thanks to Drew for this great learning experience! Drew provided an excellent learning opportunity for me. His approach to training was personable, always to the point and well organized. Drew used personal experience as examples really well. I left emotional intelligence training ready to utilize this new tool, immediately, in my own practice. I recommend Drew highly and I would take more training from him if the opportunity arises. I took my EQ-i 2.0/EQ360 certification training (online) with Drew. It was a really excellent learning experience. Drew is a skilled educator, massively experienced both as a practitioner and a trainer, is a consummate professional…and a really nice guy to work with! Thanks Drew! Drew Bird knows his stuff! I hired Drew to facilitate my training for EQi-2.0 & EQ 360 certification and he was a true professional. Not only does he have a very structured and complete program but he is so personable. You know he cares, you know he is an expert in his field and you know that in his capable hands you will get results. Emotional Intelligence, although it sounds simple, can be a complex model to thoroughly grasp, but Drew makes it doable.He walks his talk when it comes to EI. I highly recommend Drew and am very glad I chose him. Grow: your business or internal consulting practice by using the EQ-i 2.0 as a catalyst for building your client development action plans.